Last night I went for a drive up the M6 back to my old home town of Lancaster to catch a gig. Very good it was too, Dark Days, Bratakus and Autonomads (I recommend you see them if they play anywhere near you). Anyway, whilst there I got chatting to Angus Quinn who as well as being father of Bratakus' Breagha and Onnagh is vocalist with Scottish punk band Sedition. 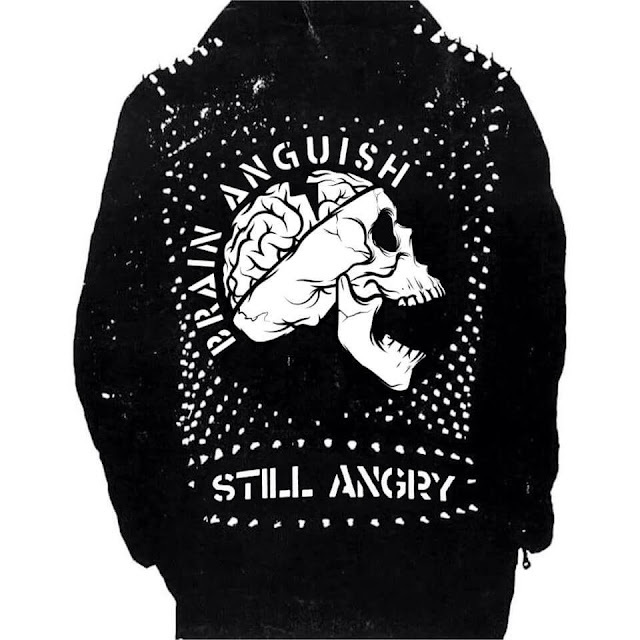 As well as Sedition, and more relevant to this update, he's bassist/vocalist with anarcho-punk two piece Brain Anguish. Despite being a busy man, he's hoping to take advantage of some downtime for Sedition and maybe play some live gigs with Brain Anguish. Hopefully new music will also be on the agenda, there's just a couple of demos so far, the first of which featured here : http://justsomepunksongs.blogspot.co.uk/2018/01/brain-anguish-smells-like-middle-aged.html and the second you'll find below as he gave me permission to upload it to Youtube. Both songs are absolute rippers so any new release will be very welcome. First They Came... is a poem written by German Lutheran pastor Martin Niemoller about the cowardice of German intellectuals following the Nazi's rise to power and the subsequent purging of their chosen targets, group after group. It was rewritten by Half Man Half Biscuit and retitled Turn A Blind Eye (it's on their 1998 4 Lads Who Shook The Wirrel album and has long been a favourite of mine). A harder hitting rewrite is the latest Brain Anguish Demo. Dealing with themes of persecution, guilt and responsibility, this is called I Didn't Speak Out! I'm not one of them so I didn't speak out! There was no one left to speak out!